Commonly referred to as the “energy vitamin”, Vitamin B12 is a nutrient responsible for keeping the body’s nerve and blood cells healthy. B12 provides the essential nutrients needed to create DNA, the material in all cells. Most individuals in the United States get enough vitamin b12 through daily diet and are not at the risk of a deficiency. Individuals on specialty diets like Vegan and Vegetarian are at greater risk for a deficiency due to lack of vitamin b12 in plant foods. Fish, meat, poultry, eggs, milk, and other dairy products contain natural sources of vitamin b12. Clinical research studies show that between 1.5% and 15% of Americans are at risk of a Vitamin B12 Deficiency. 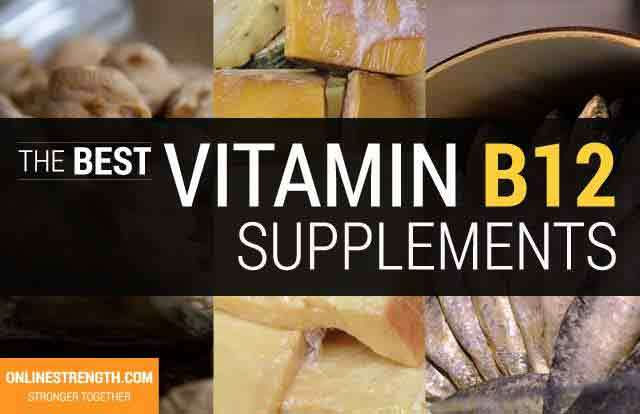 According to research conducted by Framingham 40% of Americans are deficient in vitamin B12. Vitamin B12 deficiency causes low energy; lack of focus; muscle tension; lack of motivation; digestive issues; fatigue; hormone imbalance; slower recovery & healing; weakness; constipation; loss of appetite; weight loss; and megaloblastic anemia. Nerve and neurological issues can also occur. There are 4 different formulations of vitamin b12 that you will commonly see in supplements. Methylcobalamin – The most active form in the human body. Easily digestible by the body. Known to be the highest quality form of b12. This is the form of vitamin b12 you want to see in your supplements. Cyanocobalamin – The cheapest and lowest quality form of Vitamin B12. This is the synthetic version that is made in a lab. Contains a cyanide molecule which puts pressure on the body using up energy and resources to convert and remove it. Hydroxocobalamin – This form is made by bacteria and is the version found naturally in food. Easily converts into methylcobalamin in the body. This form is commonly used for vitamin b12 injections. Adenosylcobalamin – Least stable of the four types of B12. Is not considered to be effective through supplementation. All products recorded at least 500 mcg vitamin B12 per serving, significantly above vitamin b12’s 2.4 mcg Recommended Dietary Allowances (RDAs), set by the Food and Nutrition Board (FNB). The the body’s ability to absorb vitamin B12 from dietary supplements is largely limited and only about 2% is readily absorbed. This is the reason for such high vitamin b12 dosages in supplements. Ex: Only about 10 mcg of a 500 mcg oral supplement is actually absorbed in healthy people. Additionally, all top ranking vitamin b12 supplements utilized vitamin B12 as Methylcobalamin instead of the cheaper version of vitamin B12 (as Cyanocobalamin). According to the National Institute of Health, a vitamin b12 as methylcobalamin is expect to be more absorbable by the body since its is most easily synthesized by humans. Vitamin B12’s most established function is that of improving cellular function and energy production – promoting DNA synthesis and neurological health. In a clinical setting, vitamin B12 (as methylcobalamin and adenosylcobalamin) is most often used to treat and reverse conditions resulting in vitamin b12 deficiencies. Research has suggested a variety of other biological roles for vitamin B12, including boosting energy, reducing depression, decreasing sugar cravings, improving thyroid function, protecting cells against cancer, reducing cholesterol and blood pressure. Standard dosage of vitamin B12 tends to be around 1,000 mcg daily. Vegans should supplement 1 mcg – 2 mcg of vitamin b12 daily.